This week we continued with re-publishing some past interviews, as well as added in a few reviews of some great new releases. Enjoy the week’s offerings! The first Patreon exclusive mix has been uploaded. Consider supporting This Is Darkness here to get access to the occasional exclusive content! “Rendezvous: Hopefully Ye Make It Here Astrally Soon…for We Both Are Crystal Clearly Overdue” is the latest track by A Bleeding Star. 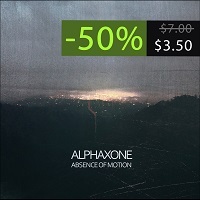 The single is self-released on Bandcamp in the “name your price” format. 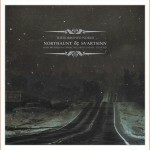 This is a bit outside the scope of dark ambient, but nevertheless a brilliant collaborative project with dark ambient powerhouse Nordvargr. Blank Embrace released 15 albums during February & March of 2017. This album is a “best of” from those fifteen. 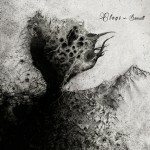 Blank Embrace is a prolific ambient artist from Yessey, Russia making music using analog instruments such as balalaika, guitar, and piano; digital synthesizers; field recordings; and of course, a lot of masterful post-processing. 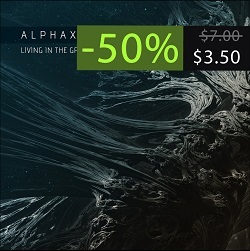 “I’m inspired by the surrounding world around me, literally from a ray of light that falls on a wall, for example.” This album is released as “name your price”. The new album IV by Bloodstalker appears to be a combination of deep drones and industrial noises. The album will be released on 13 June 2017. Dark Awake says about their new album, “New (5th full length) opus Neoclassical/Ritual/Neofolk/Dark Ambient/Martial project from Greece. Raffaele Pezzella says about the latest compilation: “The labyrinth combines the imagery of the circle and the spiral into a meandering but meaningful path. It is a powerful metaphor for life’s journey, but it also provides a particularly satisfying neurological experience. Our brains operate differently in a labyrinth, it seems, and therefore, we become different people, even for just a few minutes. Terra Lucida is the latest by Holotrop. Expect all the ritual / psychedelic / dark ambient sounds for which Holotrop is known. 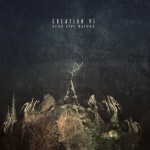 These tracks are also contained in the RITES OF NATEMA boxset. You can read my review of Collected Obscurities here. Gospel of the Gash is the news letter published by APEX. If you are interested in all the latest news coming from their label, give this newsletter a read here. This is Father Dagon S01E05: Frank Hall. Written by Victoria Snaith, produced by Dread Falls Theatre. Original soundtrack by Seesar. The professor was performed by Haydn Davis. Frank Hall was performed by Morgan Baker. Professor Sousaku Kaos and his band of intrepid students must thwart an evil plot by mysterious monsters and devious beings, inspired by the works of H.P. Lovecraft. 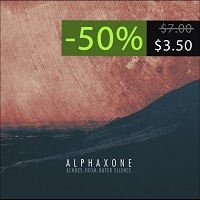 50% off on all Cryo Chamber releases by Alphaxone can be found here. The push and pull of sizzling layers creates a storming sea of resonating bliss, until the dark waves of deep crashes in upon us. With Altered Dimensions he reaches a new level of audio fidelity and there is always something subtle in the background as protruding from beyond the physical plane. A truly moving experience with smooth reverbs, multi-layered ambience and intricate subtle compositions. 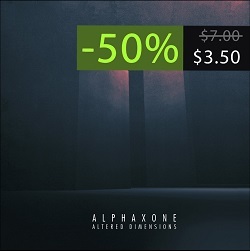 Recommended for spacefaring audiophiles. Distant worlds loom on the edge of the solar system. Their echoes through space in search of anyone willing to listen. Field recordings on Earth a contrast to the empty space drones above. This is an album best enjoyed when relaxing with a cup of freeze dried coffee in zero G.
You just see the old piano and violin covered in spider webs and the spectres of grave old men in black suits playing mournful tunes. It makes me think of broken patephones, decaying sad family photos, black and white films on old reels and European cities in the 30s, at dawn, covered with fog. Ambient vintage at its best. I know, it’s a trendy term, but I can’t help that it fits here like anywhere else. 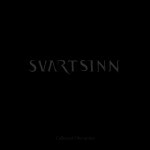 Every dark ambient fan should experience this masterpiece. Listening to it in the 100+ range, I still feel those same emotions that I felt on my first listen. The album played on repeat the whole time I re-read the novel for the purpose of this article, and I will still be happy to hear it yet again when I finish. Continuing to re-publish interviews that were conducted on Terra Relicta, here is an interesting review with Pär & Åsa Boström. They talk about the plans and ideas behind Hypnagoga Press as well as subjects such as Kammarheit, Hymnambulae, Cities Last Broadcast and Altarmang.